Dr. CRISPIN MASLOG is a widely published writer, editor, and professor of communication for five decades. With his election as Chairman of the AMIC Board in June 2015, Dr. Maslog came full circle to the organization which he co-founded with 11 other Asian communication deans/directors in 1970 under the auspices of Friedrich Ebert Stiftung. His most important contributions have been in the field of community journalism and communication education. He pioneered in research and extension work in the field of community journalism in the Philippines and is considered an authority in this field in Asia. He authored 31 books on communication and communication education. He worked as a journalist with Agence France-Presse. An experienced editorial and communication consultant, he has worked with the UNESCO, World Association for Christian Communication, Communication Foundation for Asia, Press Foundation for Asia, and Philippine Press Institute. He was former director of the School (now College) of Mass Communication, Silliman University, and a professor of the College of Development Communication, University of the Philippines Los Banos. 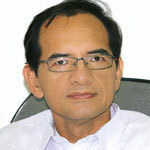 He was Vice-President for Academic Affairs of the Asian Institute of Journalism and Communication (AIJC). Aside from the being the 2011 AMIC Asia Communication Awardee, he was also the Philippine Jaycees’ 1995 Outstanding Filipino (TOFIL) Awardee in journalism and communication, the Philippine Association of Communication Education (PACE) Distinguished Service Awardee in 1995, and The Outstanding Boholano Around the World (TOBAW) awardee in 1999. He is listed in at least three international directories of scholars. He earned his Ph.D. in mass communication from the University of Minnesota. 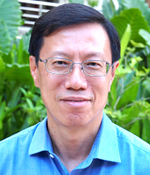 Prof. ANG PENG HWA is a Faculty member of the Wee Kim Wee School of Communication and Information. He has a law degree from the National University of Singapore, a Master’s degree in Communication Management from the University of Southern California, and a Ph.D. in mass media from Michigan State University. His research is in the area of internet governance. His 2005 book, Ordering Chaos: Regulating the Internet (Thomson), argues that the internet can be, is being and should be regulated. In 2004, he was appointed by the UN Secretary General to the Working Group on Internet Governance to prepare a report for the 2005 meeting of the World Summit on Information Society. He later helped co-found the Global Internet Governance Academic Network (GigaNet) where he served as inaugural chair. He also sits on the Governing Council of the Mudra Institute of Communication, Ahmedabad in India. RAMON R. TUAZON is the secretary-general of the Asian Media Information and Communication Centre (AMIC), and president of the Manila-based Asian Institute of Journalism and Communication (AIJC). Mr. Tuazon is also the chairman of the Commission on Higher Education Technical Committee for Communication (TCC) and member of the CHED Technical Panel for Social Sciences and Communication. He also sits in the Philippines National Commission for UNESCO. He has served UNESCO in various capacities including as UNESCO Media Development Specialist for Myanmar (November 2012- January 2014) and representative of the UNESCO Regional Director to the UN Country Team in the Philippines (2010-2012). He co-authored several books, monographs, handbooks, and published numerous articles in international and national books, journals, and monographs. Among his latest publications are: Multidisciplinary Inquiry on the Culture of Impunity in the Killing of Journalists (2013), and Media and Information Literacy: Curriculum for Teachers (UNESCO Paris, 2011). Mr. Tuazon completed his Master in Communication Management from AIJC, and Bachelor of Science in Commerce from the University of Santo Tomas where he also took graduate work in advertising. Jose Ma. G Carlos has an extensive career in broadcast journalism and media management in the Philippines, currently involved as editorial director of CNN Philippines. He has been teaching media and public relations management as well as broadcast journalism at the University of Santo Tomas, Manila. He previously taught at the Communications Department of the Ateneo de Manila University, Manila, and Nanyang Technological University in Singapore. 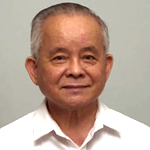 From 1996 to 2002, Mr. Carlos served initially as programme manager and later as secretary general of the Asia Media Information & Communication Centre (AMIC) in Singapore. He also worked as programme manager for the Asia-Pacific Institute for Broadcast Development (AIBD) in Kuala Lumpur, Malaysia. His career also covered public relations, having worked as the special projects manager at San Miguel Corporation, one of the Philippines leading companies, and assistant vice president for communications at Resins Inc and RI Chemical Corporation.